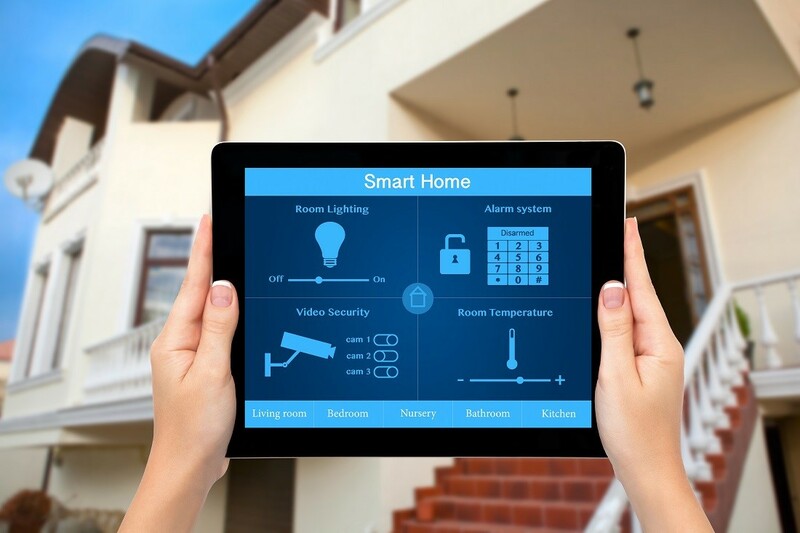 Did You Know You Can Control Your Home with a Smartphone? Most people these days are using their smartphones to make their lives easier, in one way or the other. Some are using them to kill time with some games or fun apps while the others are using them for socializing, booking movie/event tickets, check the latest news or buying/selling just about anything. The list of things that can be controlled with a smartphone is endless. 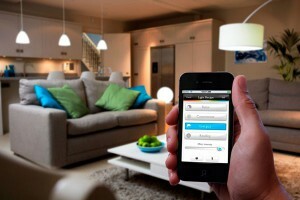 However, only few of us have the concept of a Smart Home also known as the home automation system. Yes, we are talking about controlling your home with your smartphone. The modern-day technologists say soon, we’ll never have to leave the sofa again (except the basic human needs). Let’s start with the home lighting system. Instead of getting up to hit the light switch, all you need is to grab your smartphone and there you are. Numerous home lighting including regular bulbs, spotlights, table lamps etc. can be switched on and off with the help of right apps and accessories. A Smart Home is not just restricted to home lighting, you can also control your home’s security with your smartphone from anywhere. 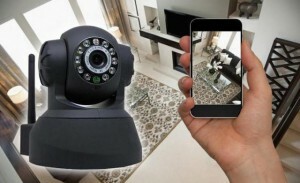 With your home security cams and your smartphone connected to the internet, you can monitor just about anything in your house. 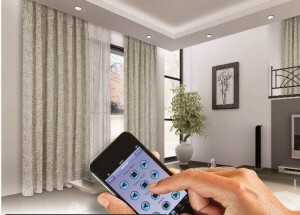 The curtain automation has also stepped into the digital age. It all began with the motorized curtains that can be controlled via buttons installed in wall sockets. But now, the smartphone technology has taken this a step further. With the right app installed on your smartphone, you can manage your curtains, shutters, blinds, awnings and more from the palm of your hand. With the latest temperature control system installed in your home and the right temperature control app, you can remotely manage the temperature of every room in your home. 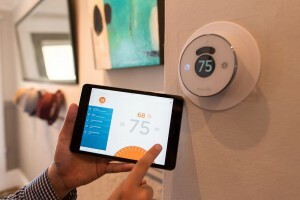 Earlier, managing your home temperature was never this easy. In a Smart Home concept, changing television channels, volume and other settings no longer requires you to keep the remote control in your hands all the time. Now there are numerous mobile apps that can aid you control your television right from your device. This will not only allow you to watch television channels but also make it easy for you to pause, fast-forward or rewind everything from your smartphone. Apart from a few possibilities mentioned above, you can uncover much more. We hope this Smart Home guide by AmerAdnan® will help you greatly. Your comments will be appreciated.